Jimmy Petraki: They found another one. There's going to be no treasure left by the time she gets here. I enjoyed it for what it was, but not as good as the first. This movie was all right, kept me entertained for the most part, but it needed more and less. The story is a bit better this time in parts, but it is also worse in others. I was kind of hoping I would hate this movie as most critics and people seem to, but I enjoyed it so now I suppose I will get private messages from people saying I should hate the movie. Well don't bother writing me please. The movie starts out with a cool underwater temple scene, and this is the highlight of the movie. 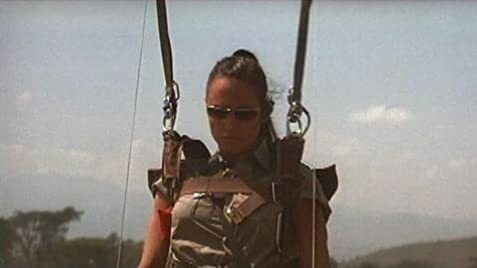 It is also the only part in the movie that feels like the tomb raider video game. The rest of the movie has some good stuff, but it doesn't feel like tomb raider, more like a spy movie or something. At one point there is a scene with monsters that look like they belong in the Lord of the Ring movies. For what it was worth it was ok, but these monsters were kind of out of place. At least the stone warriors from the first movie have actually appeared in the game. I would also love to see Lara go into an actual tomb for once. Sure the underwater temple was cool, but it was just one room. Like the first one all the tombs here are usually one room. Can't they have here go through a really long tomb with multiple traps and stuff for her to shoot at? Also, I wish she would have used her guns more. 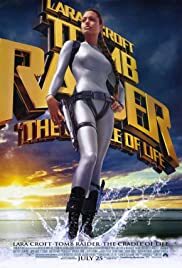 I shoot more in five minutes of the video game than she does in this entire movie, and she always loses her weapons too. Not that I don't want to see character development and stuff, but this is a movie based on a game, it should be a bit more action packed than what we get. All in all though it was okay, I enjoyed it, but it just wasn't as good as the first for me.